The HMR at Home program is a family affair for Darrell Brookshire. 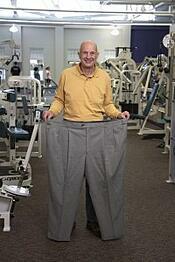 He lost nearly 135 pounds in 10 months on the program, and his wife lost 50. His daughter, Oasis Spa director Jessica Shaw, has also lost weight.